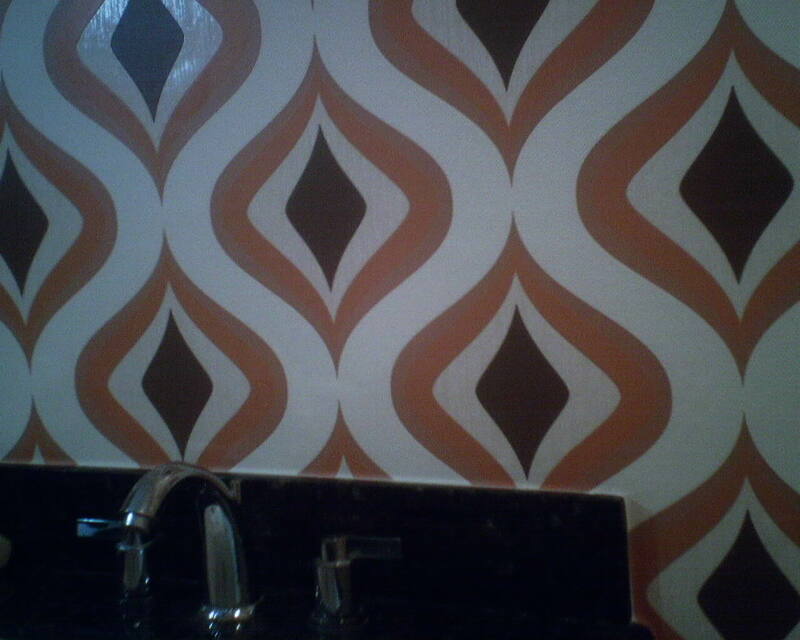 This kitchen wallpaper was stained by a water leak. 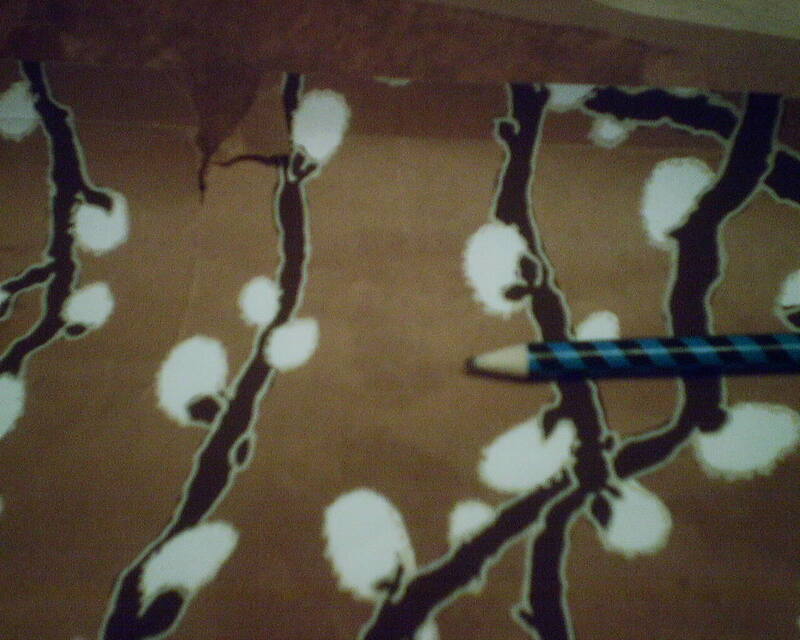 There was enough left over paper to replace the damaged section. BUT – the paper had been stored in a hot Houston attic since the ’70’s – that’s 35 years! 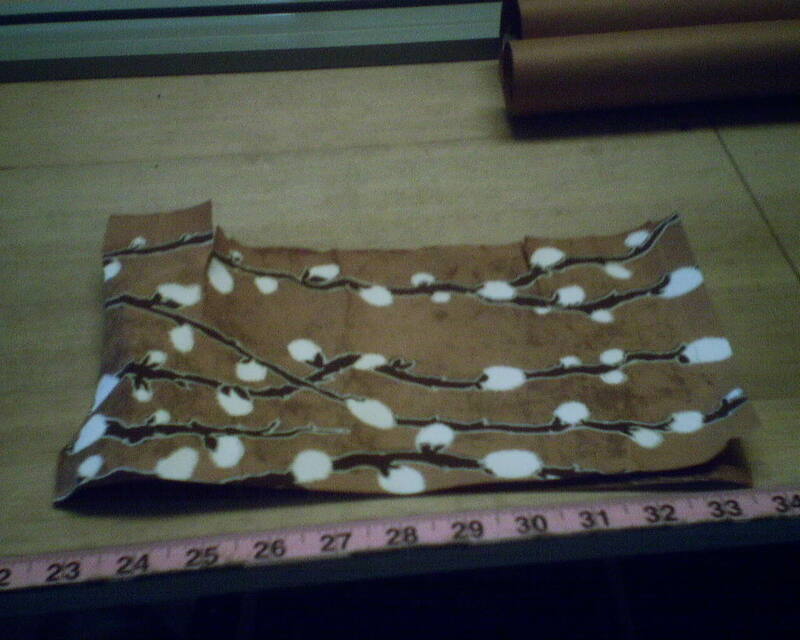 It was far too brittle and fragile to work with. I found that lightly wetting the back with a damp sponge allowed it to relax enough that I could unroll it. 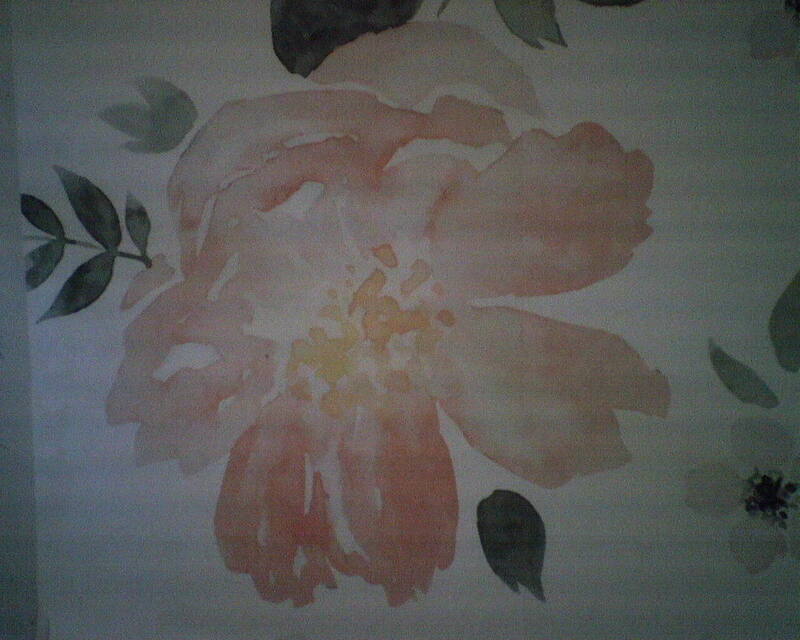 I tried my usual wallpaper paste, but once the sample piece dried, there were stains caused by the paste. See third photo. Then I tried powdered wheat paste, which is for more delicate materials. This did not stain the paper, but it did cause it to become too wet, crack, split, tear, and created crevices where staining would be likely to occur. See last photo. 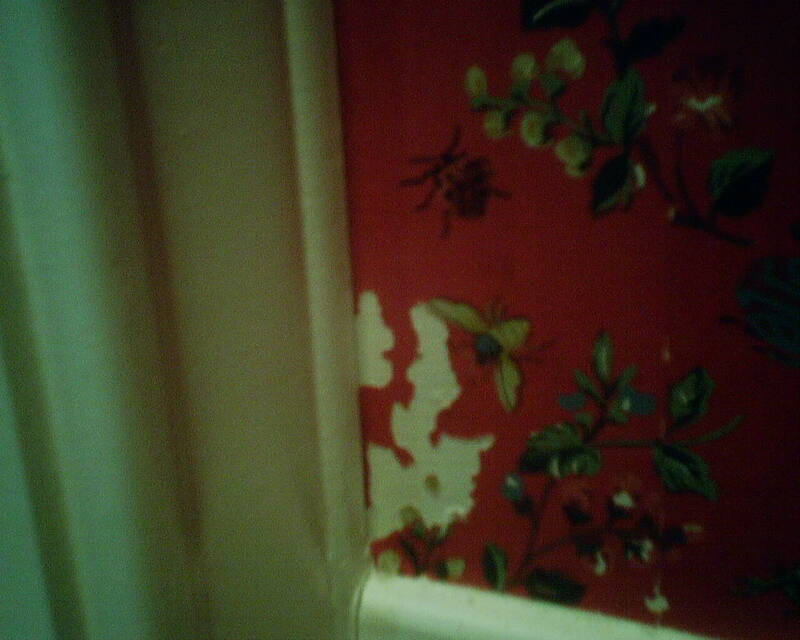 I am glad I tested methods and products before I ripped off the old wallpaper. We ended up leaving the old paper on the wall, and I used craft paint to cover the worst of the stains. See previous post. This turned out to be the best solution. When entering this 2-room bathroom suite, the first thing you see is the window on the far wall. 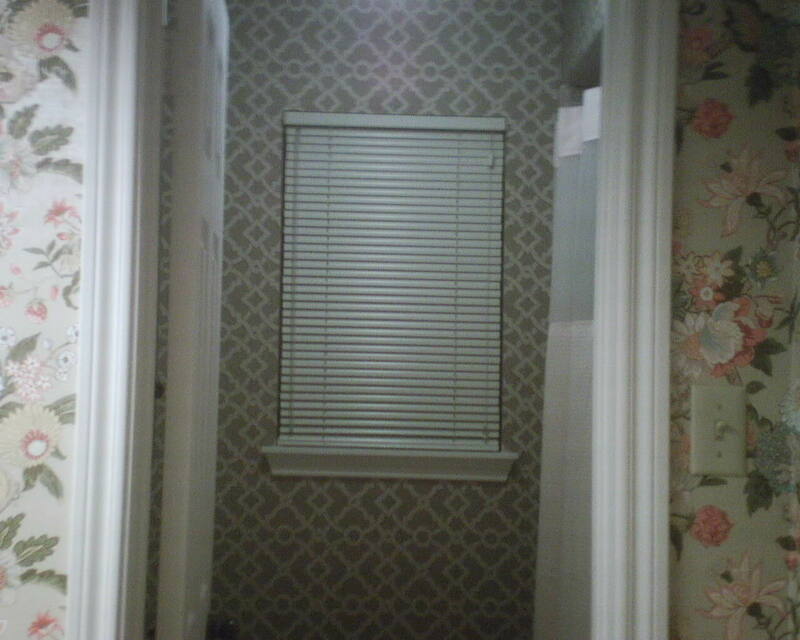 Because the window is the focal point, I chose to center the wallpaper’s pattern on it. 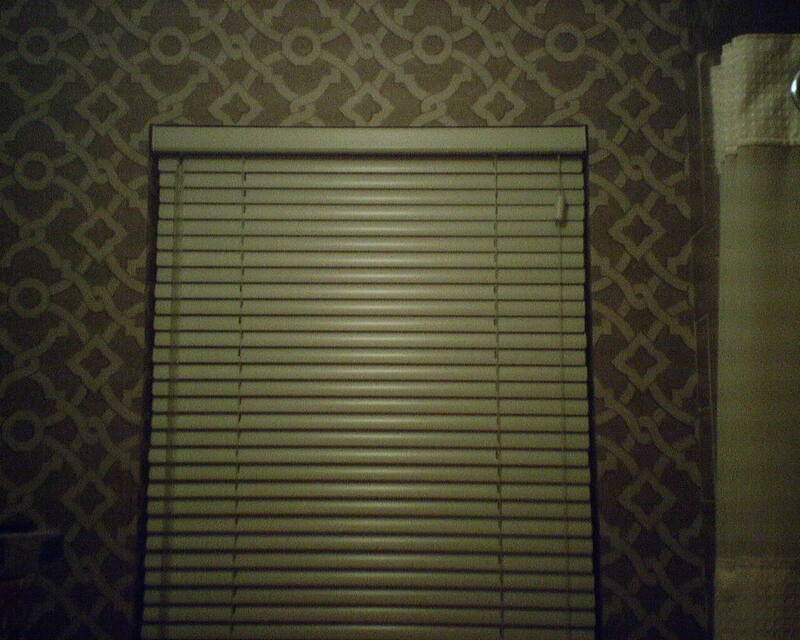 As you can see in the first two photos, the geometric pattern is perfectly balanced on either side of the window. But since walls and windows and ceilings and floors and etc., are never perfectly plumb or level, you can plot the pattern to be nice and straight in one place, but then you can plan on it going crooked in other areas of the room. 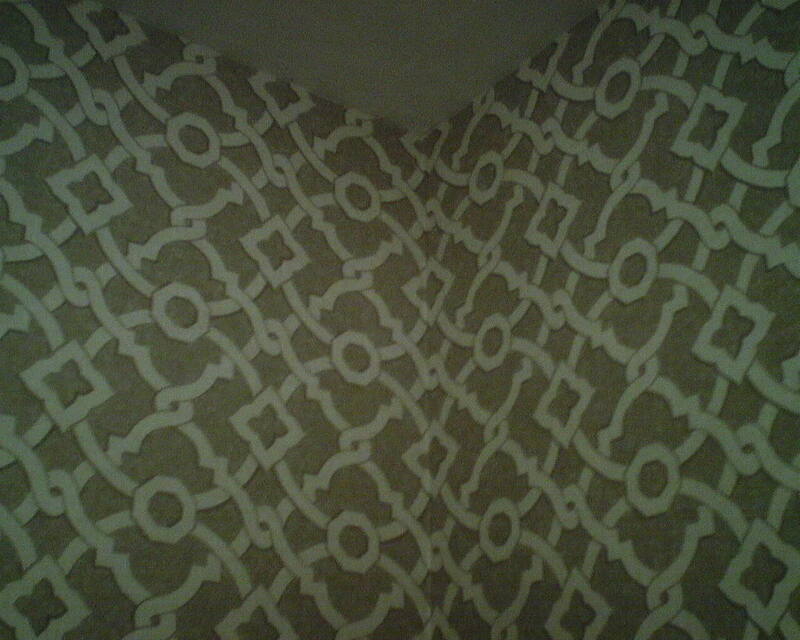 So it becomes a game of priorities… Do I keep the pattern plumb/level, or do I keep the pattern match intact? 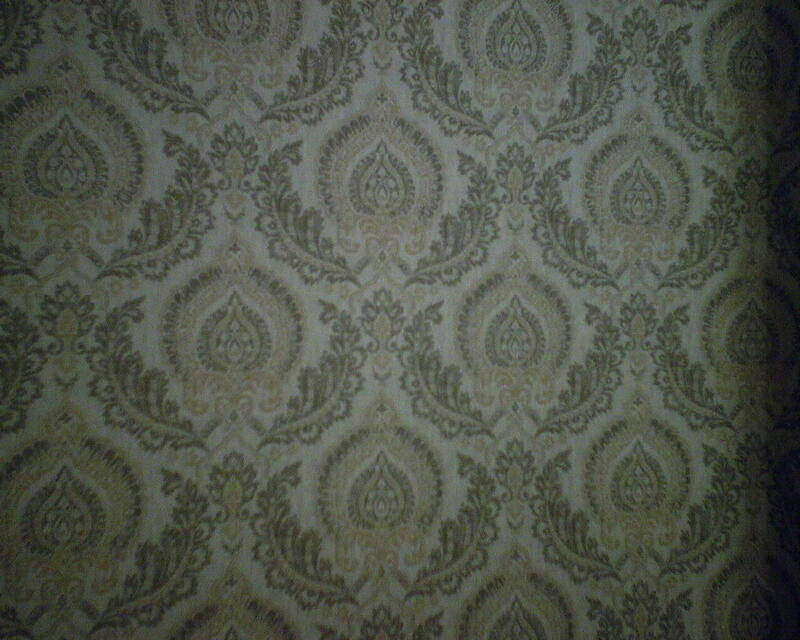 Look at the photo of the wallpaper against the ceiling line, and you will see the pattern dropping down as it moves to the left. That doesn’t look great – but it’s not really all that noticeable or offensive. 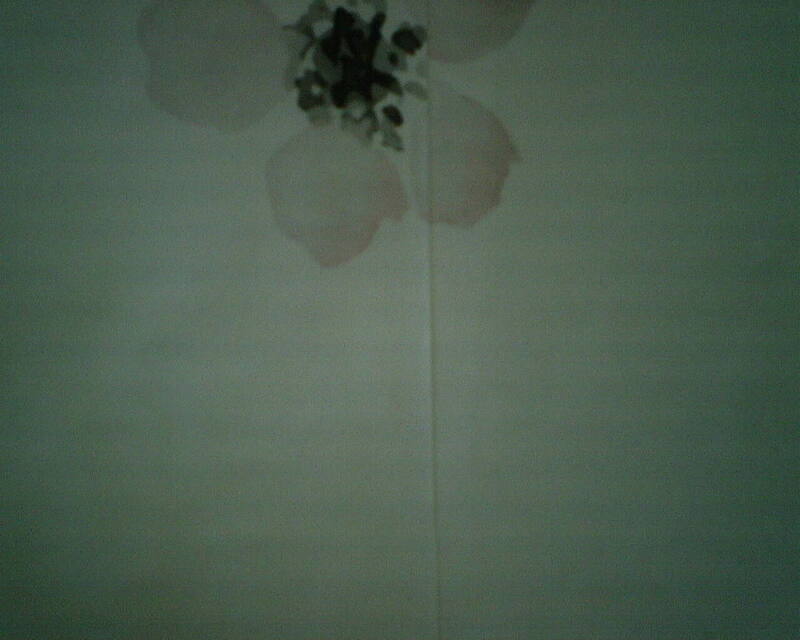 Now look at the photo of the corner. 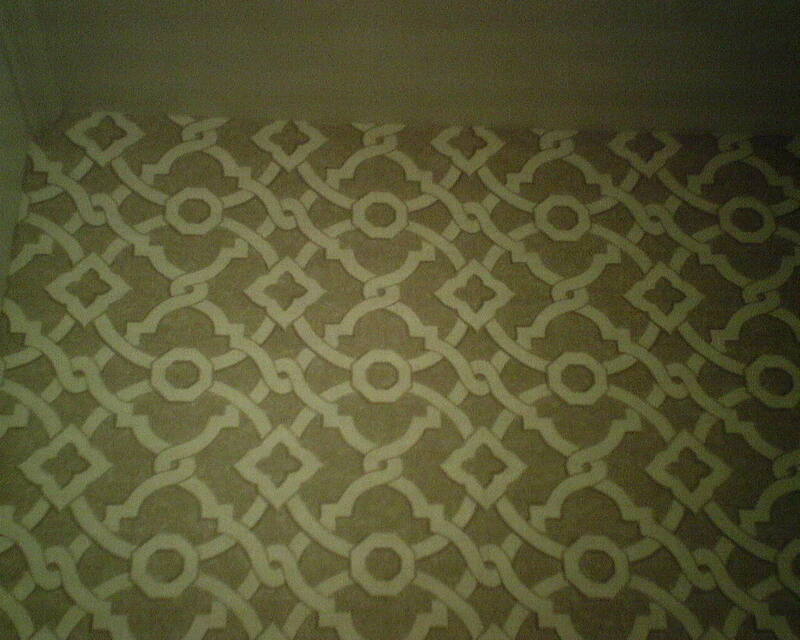 The pattern matches perfectly. 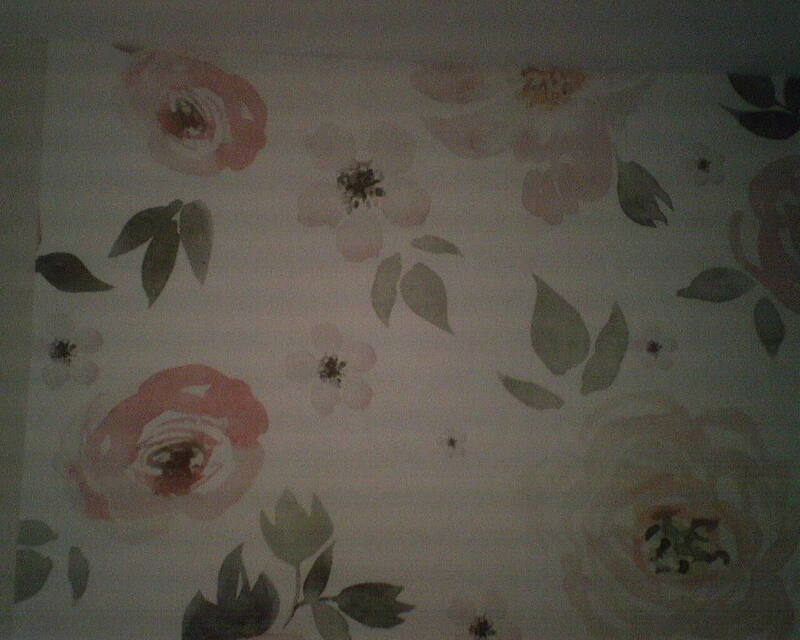 To get the pattern to match, I had to hang the paper to the left of the corner off-plumb, and that’s what threw the pattern at the ceiling line off-level and caused it to drop down as it moved to the left (mentioned above). 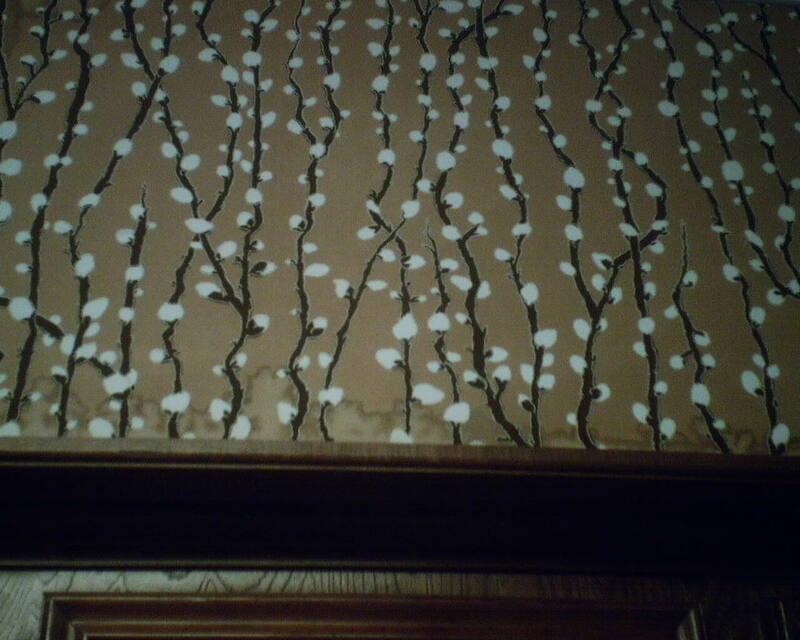 Mis-matched wallpaper patterns are eye-jarring, even in corners. I think it’s better to have the design match in the corners, then to worry about how it is moving along the ceiling line, or how it’s meeting up against other walls in other corners. 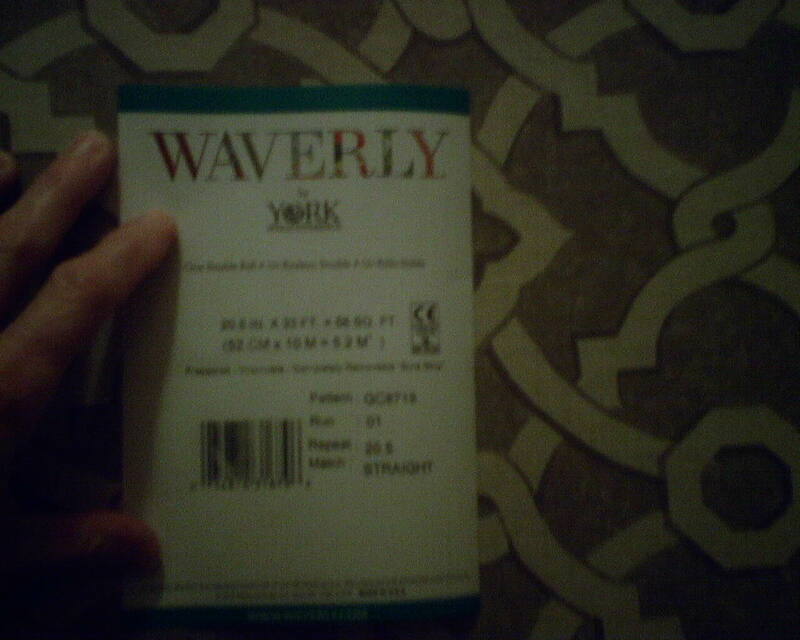 This wallpaper is by Waverly, which is made by York, and is in the Sure Strip line, a product that I particularly like. It was bought at below retail price from Dorota Hartwig at Southwestern Paint on Bissonnet near Kirby. (713) 520-6262 or dorotasouthwestern@hotmail.com. She is great at helping you find just the perfect paper! Discuss your project and make an appointment before heading over to see her. I guess that does not include getting out of the truck and walking three feet to the mailbox. 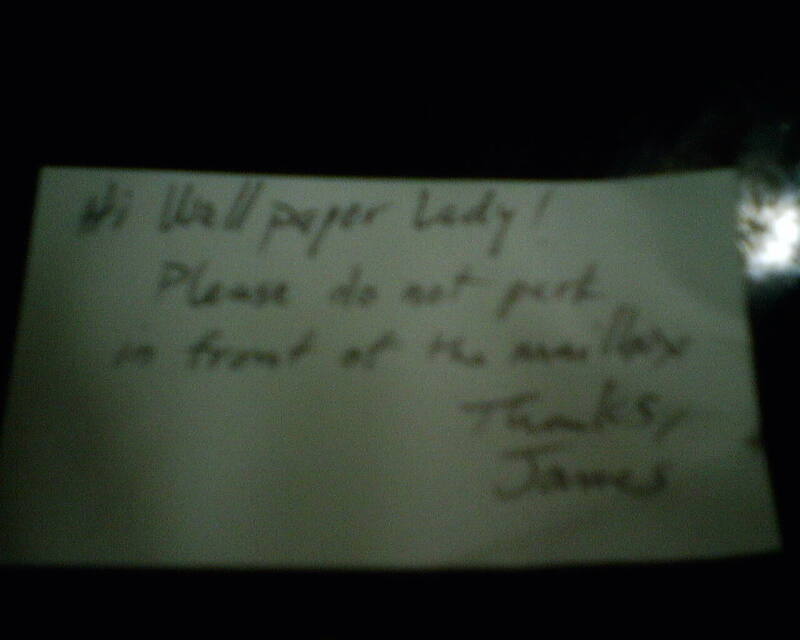 To be fair, though, this was a very politely written note. And I knew that mail carriers don’t like you blocking the mailbox (and they don’t like to / won’t get out and walk to the mailbox). I asked the homeowners about it when I first arrived. They said to go ahead and park there, even if they didn’t get their mail for a day or two (I will be there 4-5 days). I finished prep today, and all of the tools and supplies I need to hang paper the rest of the week are in the house, so no need for me to park near the home’s walkway. So the rest of the week I will park away from the mailbox, and when I’m finished and ready to load up, I can move my van back to the walkway. I hung this 10-15 years ago, and was back for another reason. This is a powder room. Spots like this are along the edges of much of the woodwork. 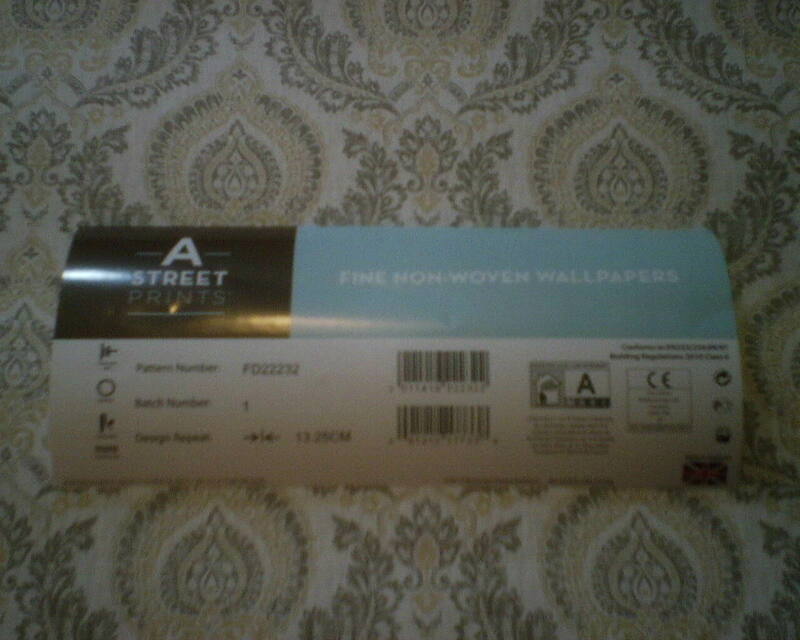 I think the brand is Scalamandre, a higher-end wallpaper, and it was a hand-trimmed paper with ink that smells like mothballs. It really doesn’t look like something the maid could have done, even if she got chemicals on the paper. I told the homeowner I think it’s bugs eating the ink or paper, but she says she’s never seen bugs in her house. Well, she did admit that she has seen silverfish. 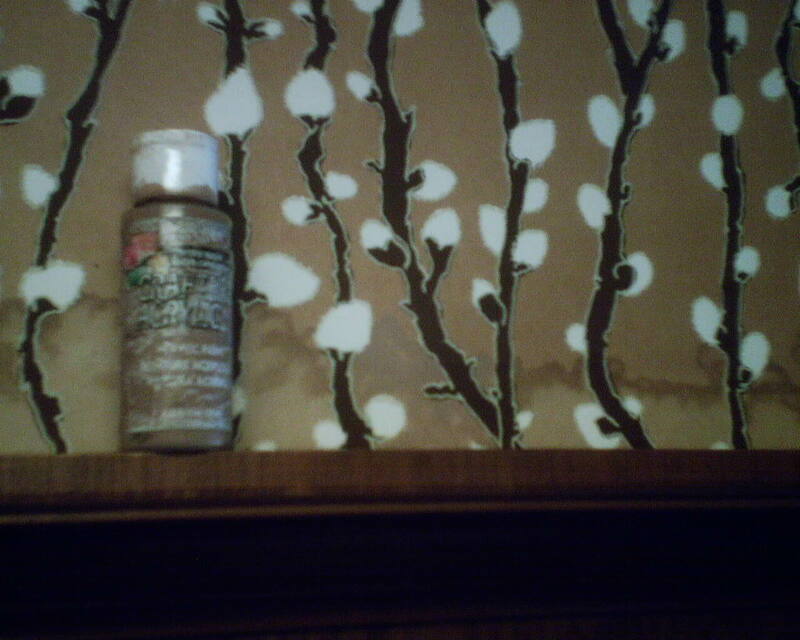 Just for fun, Google “silverfish wallpaper paste.” Ah-HA! My suggestion was to get some bottles of 99c craft paint and a small brush and color in the areas. The homeowners are moving, and are trying to make the house as neutral as possible before it goes on the market. 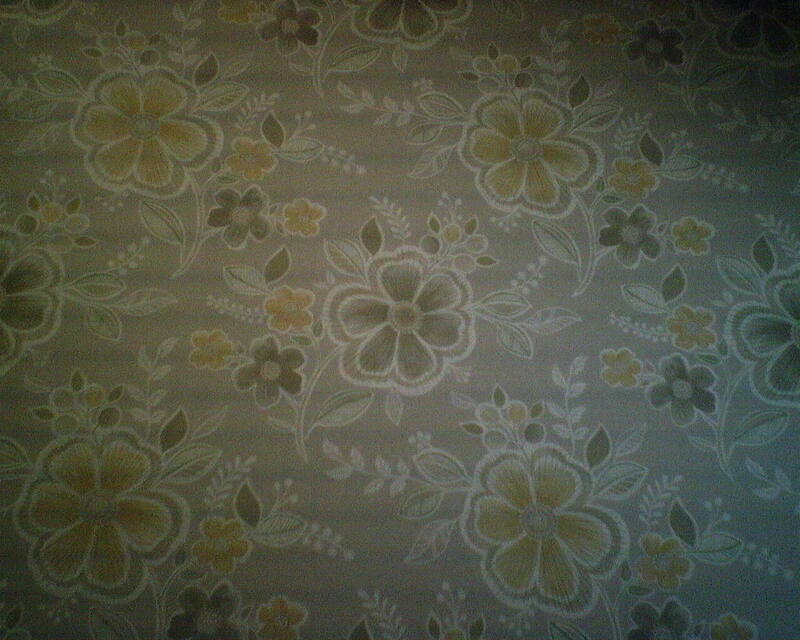 So the child-friendly lime green wallpaper had to go. 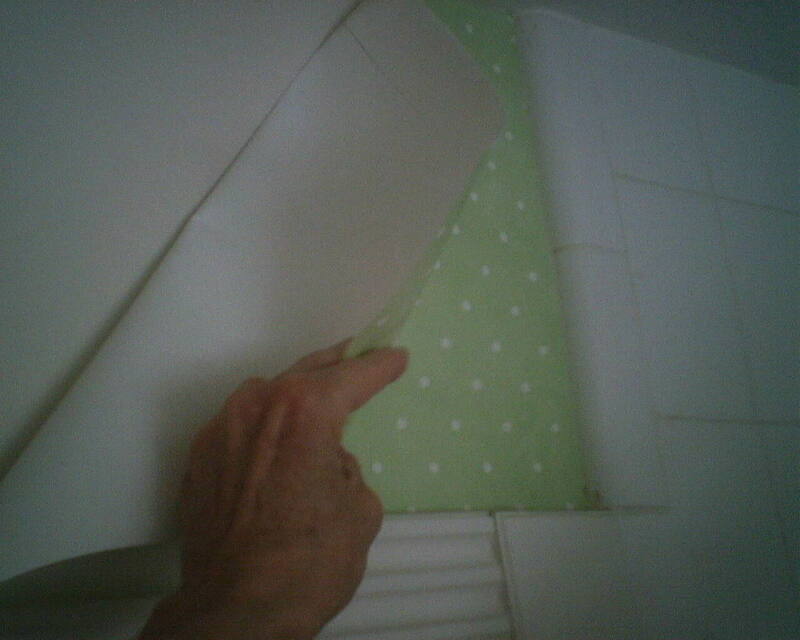 In the top photo, I am stripping a paper-backed solid vinyl paper. It is considered a peelable paper. These are pretty easy to get off, if you are patient. 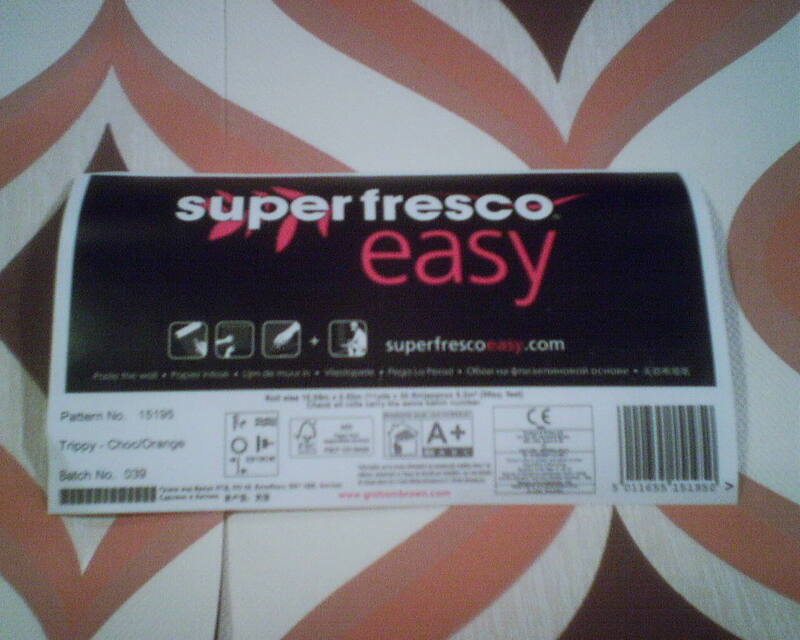 You peel off the top plastic printed layer, which usually comes off in large pieces. 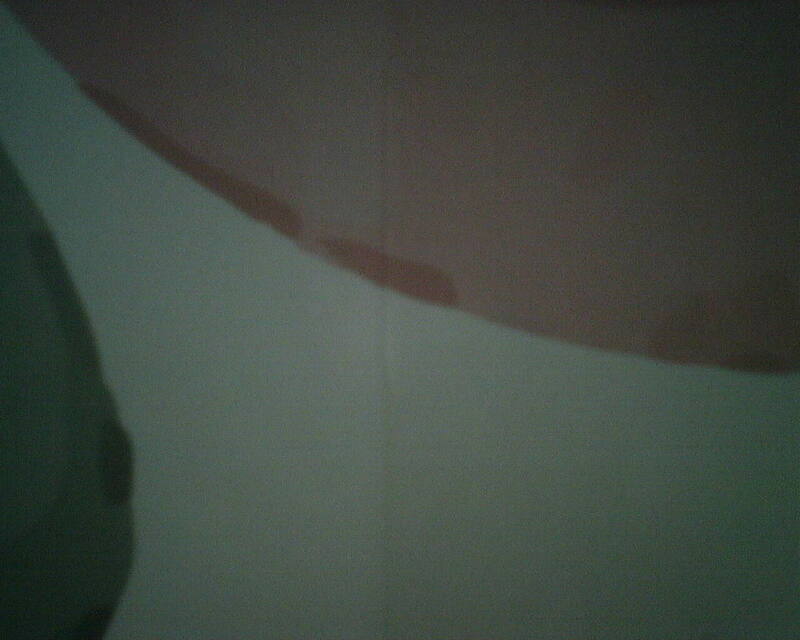 That leaves the tan paper backing stuck to the wall, which you can see as a “V” in the upper center of the photo. 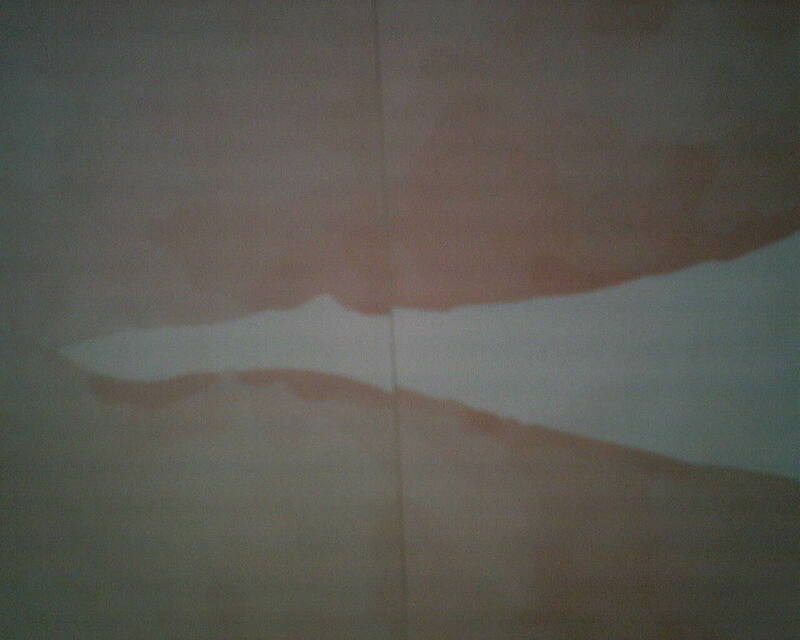 To the left of that area, I have wet the paper with a sponge and hot water, so it has turned darker tan. 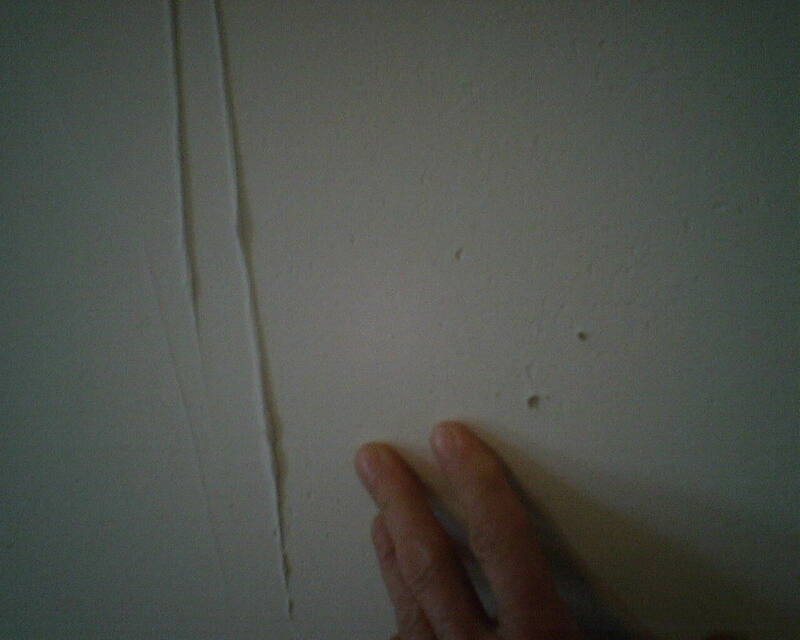 Once the water reactivates the adhesive, this backing will peel away from the wall easily; or it may need to be gently scraped off with a stiff 3″ putty knife. This process is pretty easy on the wall, and leaves little damage. 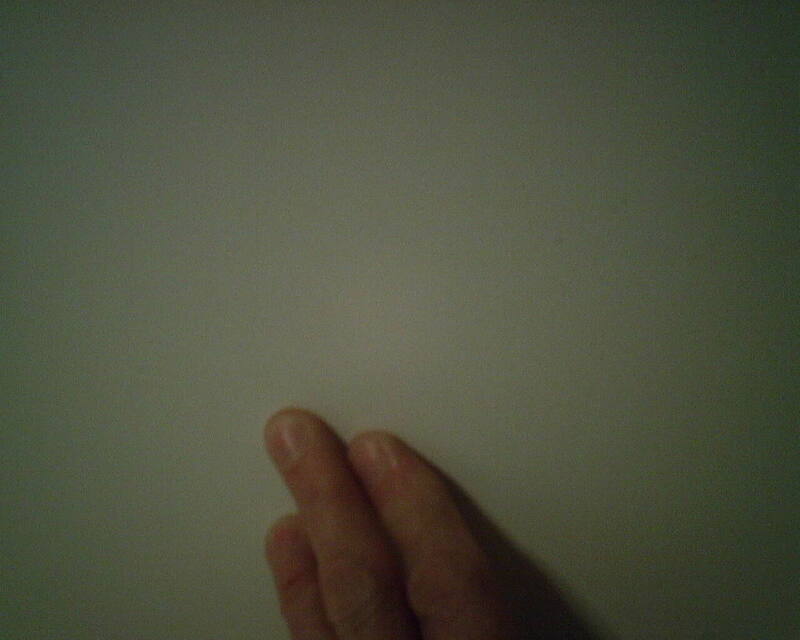 The second photo shows a thin paper wallpaper coming off by simply pulling on it. 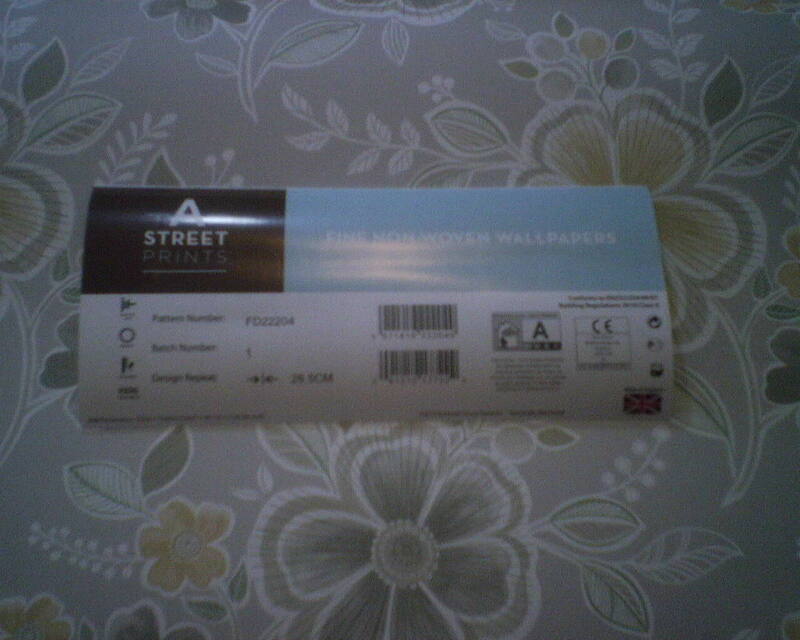 This is what is called a strippable paper. 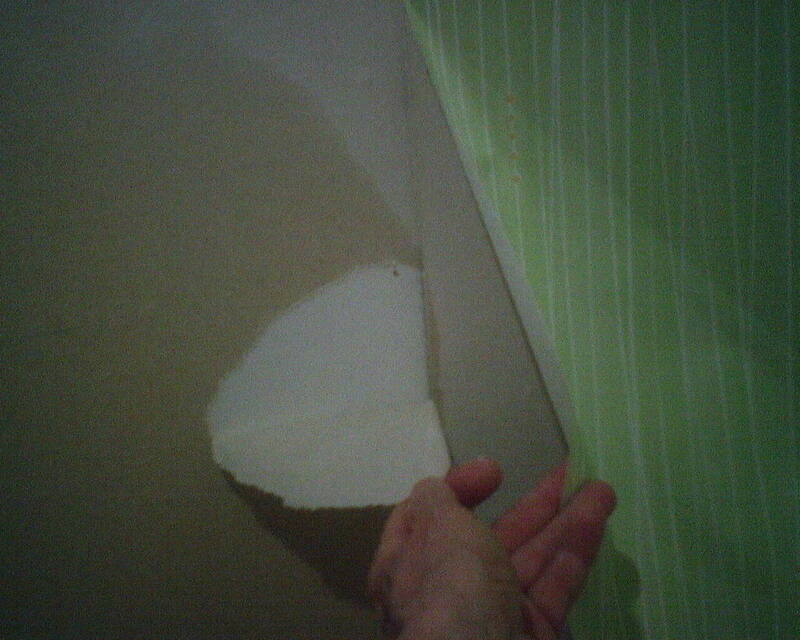 Interestingly enough, this paper was most strippable up high, where humidity from showering would have collected. Even strippable papers don’t always come off in one piece, and when they do, the process can put too much stress on the wall, so you might get pieces of the primer or underlying surfaces pulling off, too. 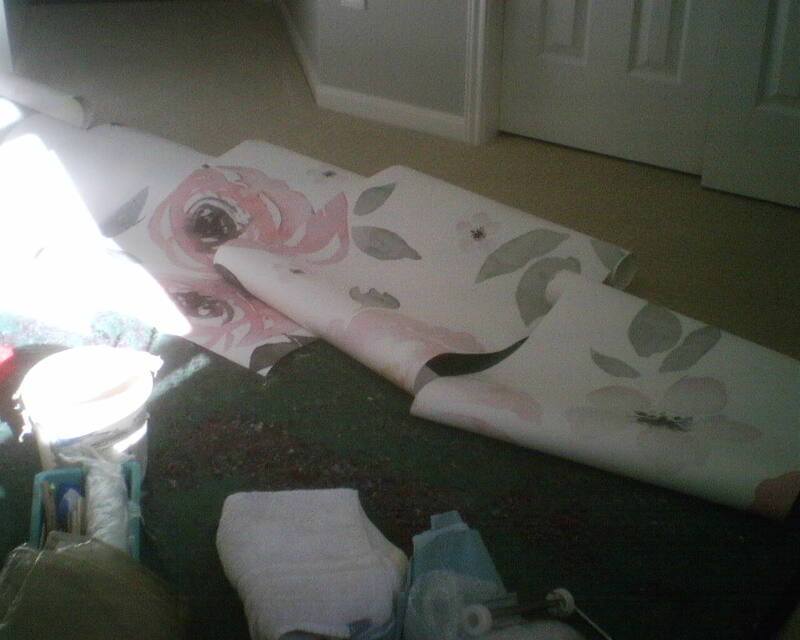 To minimize damage to the wall, these papers can also be removed in the 2-step process outlined above. Since they are thinner, it’s a little harder to get the top inked layer off. But if you wet the surface first, which seems to make it stronger so it comes off in larger pieces, and then use that stiff 3″ putty knife to gently get under the top layer, and proceed as above. Of course, what is under the paper has to do with it, too. 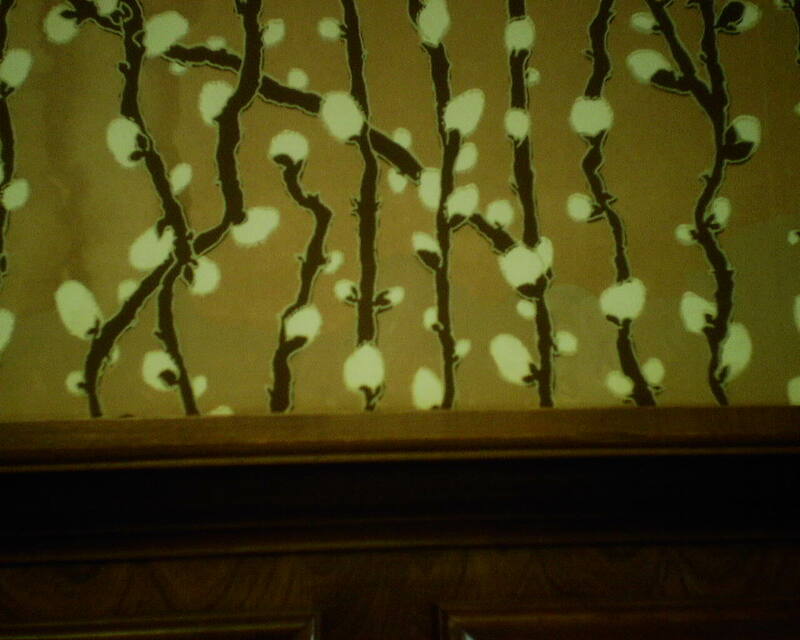 In this case, my wonderful primer oil-based KILZ Original has provided a strong and water-resistant surface that sticks tightly to the underlying wall, and that let go of the wallpaper with no damage to the walls. Step Back Into The ’70’s! This 1959 home is in the Meyerland / Westbury area of Houston, and is decidedly Mid Century Modern. 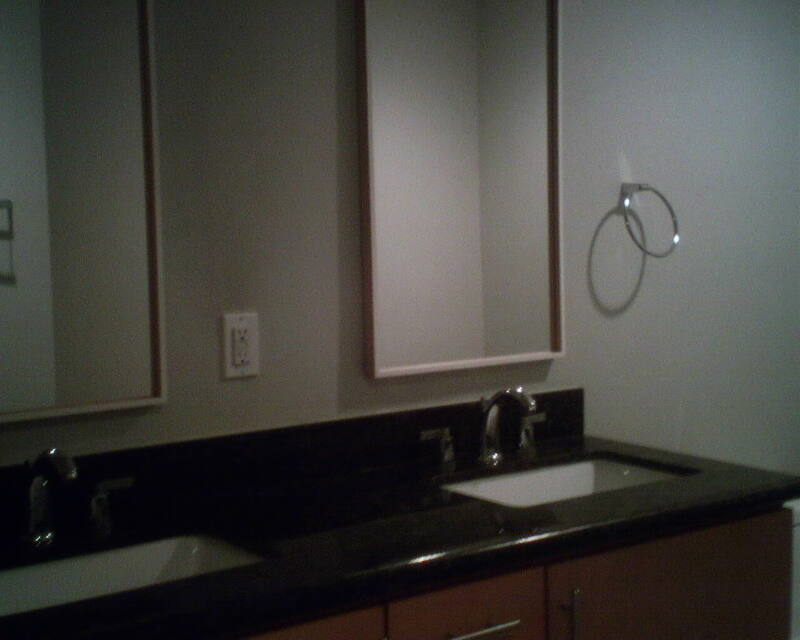 The master bathroom had been nicely updated with granite countertops and sleek, honey-colored cabinets. But the dark grey walls studded with pimply home-handyman texture made the room dreary and uninviting. 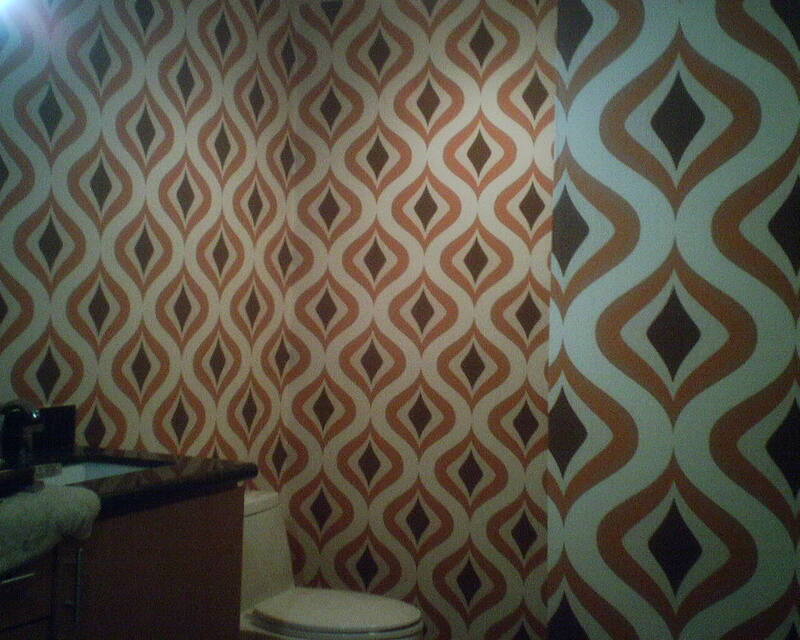 “I hate my bathrooms,” said the homeowner. What a fun pattern! This “mod” design screams Mid Century (can you say Nancy Sinatra and “These Boots Are Made For Walkin'”?, and the color perfectly compliments the color of the cabinets. Once the paper went up, the whole room sprang to life – and it felt larger, too. The homeowner totally loved the transformation! 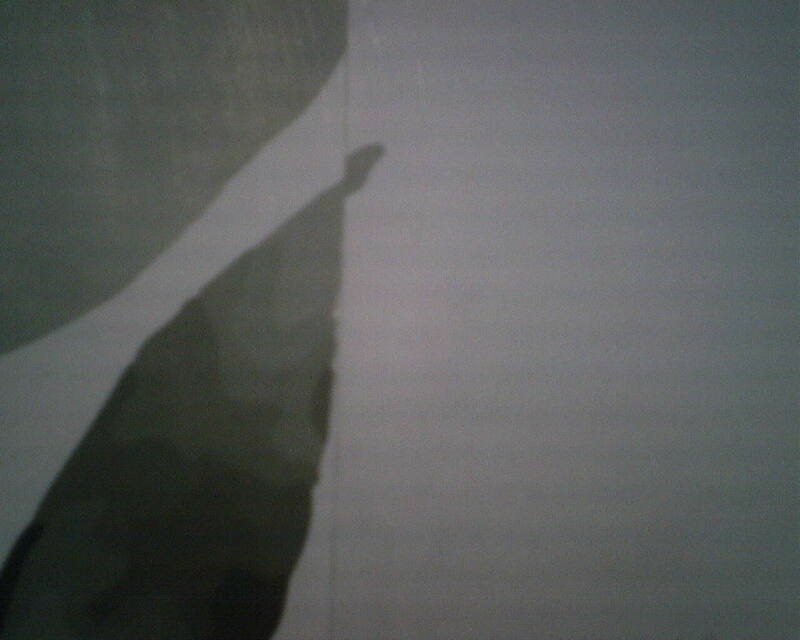 This paper is by Graham & Brown, and has a durable vinyl surface on a thin non-woven substrate. The material is thin and pliable, clings closely to the wall, and was lovely to work with. The walls themselves, though, were another matter. The extremely heavy texture had to be smoothed, which took two days. 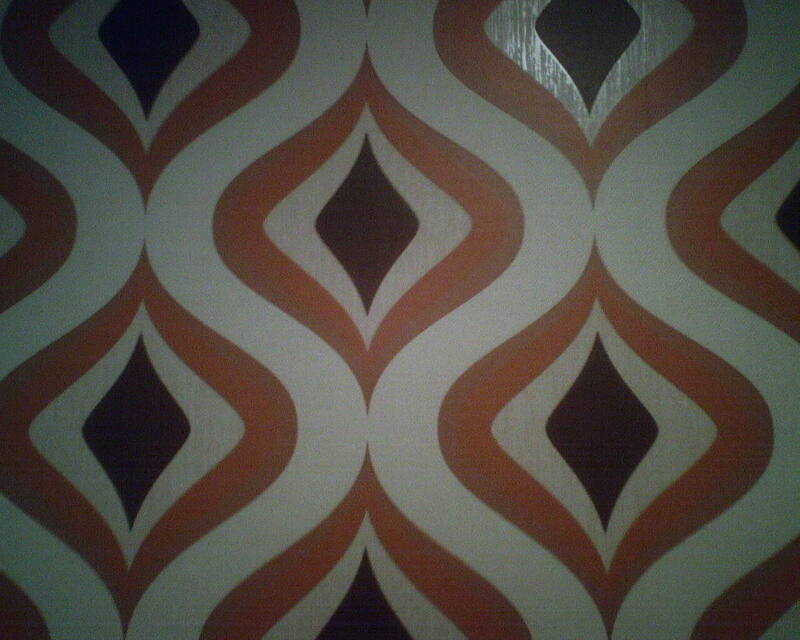 And hanging this rhythmic geometric pattern was greatly complicated by the un-plumb walls, un-level ceiling, un-straight outside corner … you get the picture. 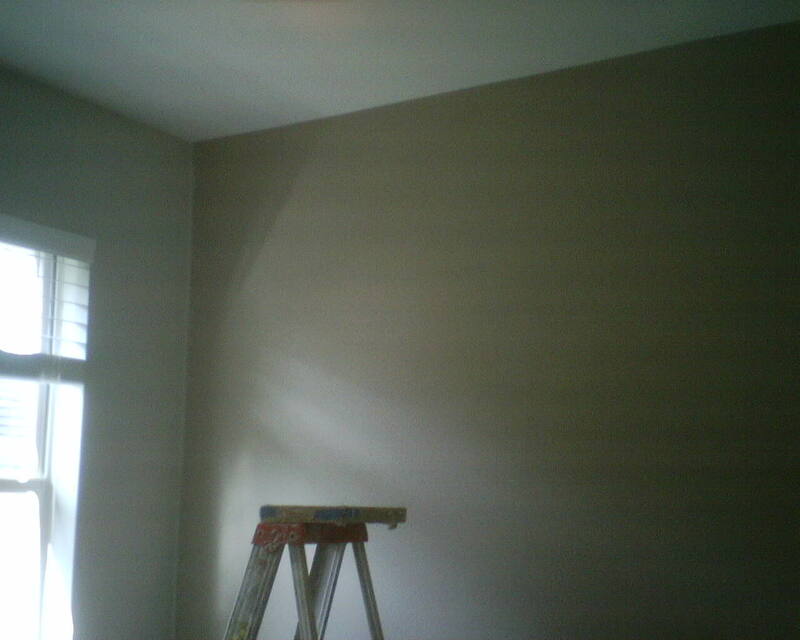 Fast forward to the finished room … It looks great. Most of the “imperfect” areas I was fretting over are not even noticeable. The homeowner loves it. Hey – she loves it so much that she said she wants to spend the rest of the night in her new bathroom! Getting the Walls Smooth, Cont’d. Yesterday’s post showed you the extremely heavy texture on the walls that needed to be smoothed before wallpaper can go up. 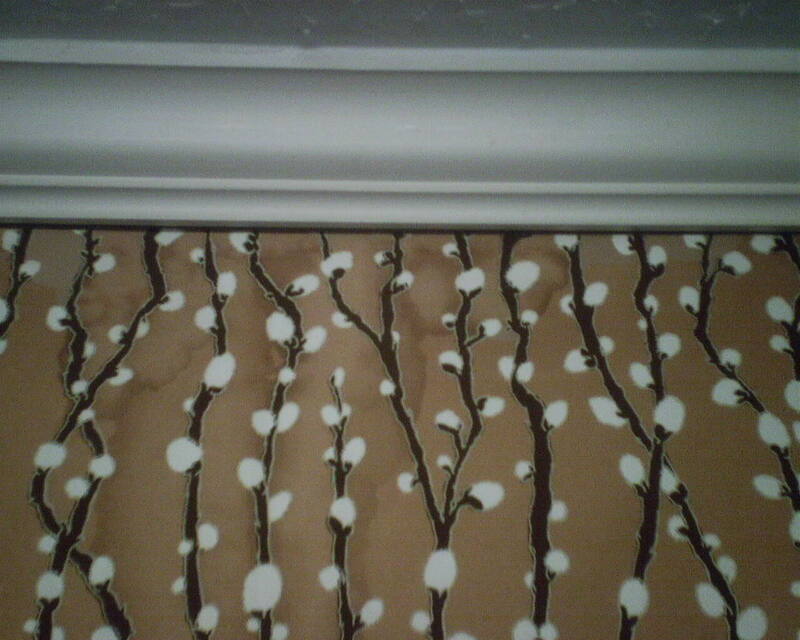 In the first photo above, you see the walls after I applied the first coat of smoothing compound. Once that had dried overnight, I sanded it. Since it started out so thick and uneven, it was impossible to sand it completely smooth, as you see in the second photo. Some paperhangers would hang on this, but I want the walls to be a perfectly smooth as possible, so no bumps show under the paper. 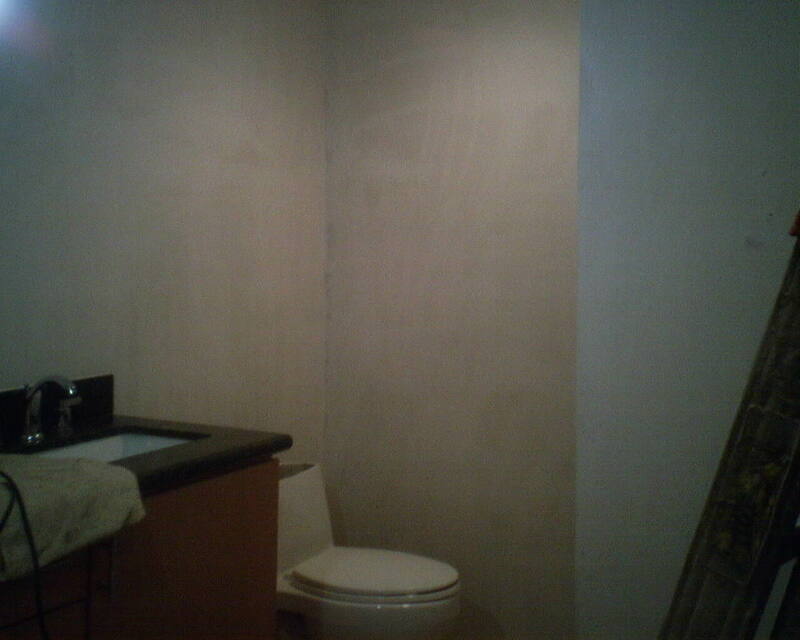 So floated the walls again, this time with a very light skim coat. 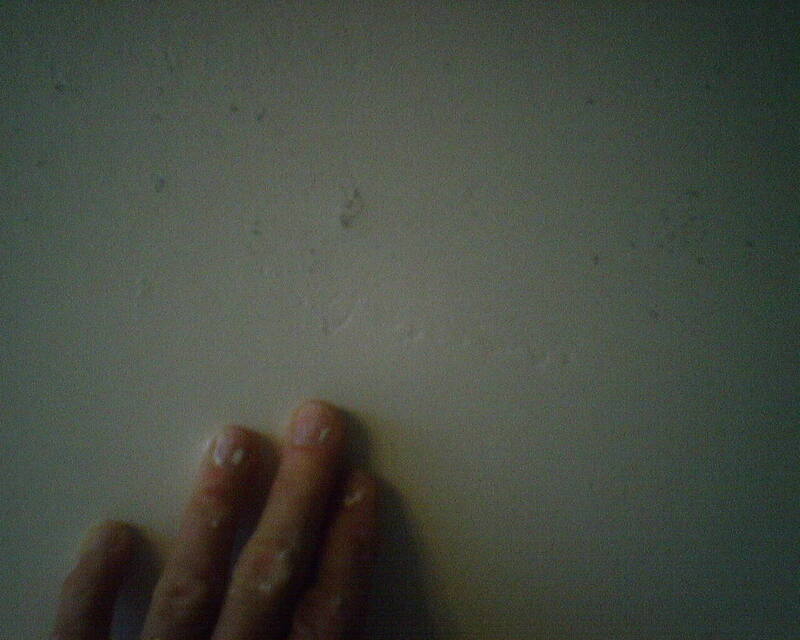 It dried relatively quickly, and I sanded the walls a final time. The third photo shows how smooth they turned out. A lot of work, some sore muscles, and SIX BOXES of joint compound! You are currently browsing the Wallpaperlady's Blog blog archives for February, 2017.